When you attack the Internet, the Internet fights back. Today has been about Internet users across the country who are afraid of large ISPs getting too much say in how we use the Internet. Voices ranged from huge corporations to ordinary Internet users like you and me. Together with Battle for the Net and other friends, we delivered 1.6 million comments to the FCC, breaking the record we set during Internet Slowdown Day in 2014. The message was clear: we all rely on the Internet. Don’t dismantle net neutrality protections. If you haven’t added your voice yet, it’s not too late. Take a few moments to tell the FCC why net neutrality is important to you. If you already have, take a moment to encourage your friends to do the same. 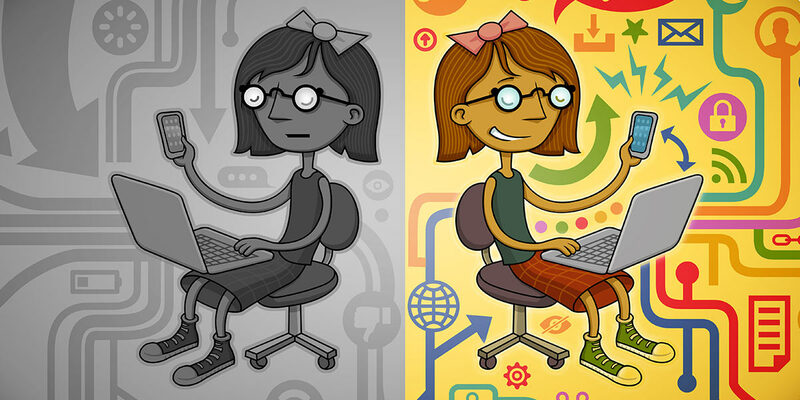 Here are just a few examples of what Team Internet has been saying about net neutrality today. “We live in an uncompetitive broadband market. That market is dominated by a handful of giant corporations that are being given the keys to shape telecom policy. The big internet companies that might challenge them are doing it half-heartedly. And [FCC Chairman] Ajit Pai seems determined to offer up a massive corporate handout without listening to everyday Americans. To everyone who has participated in today’s day of action, thank you.